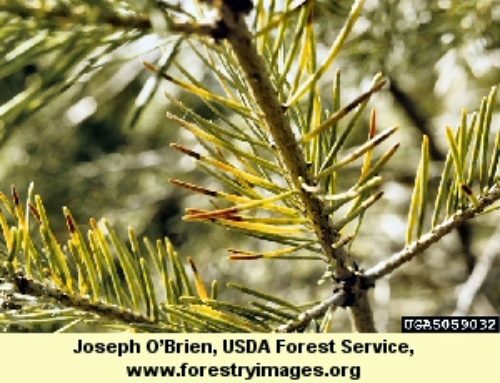 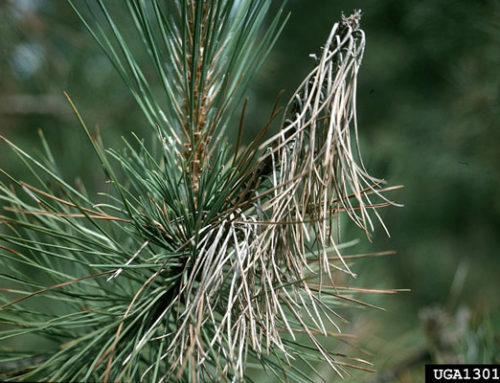 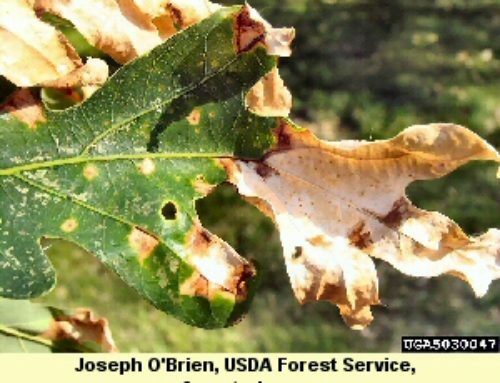 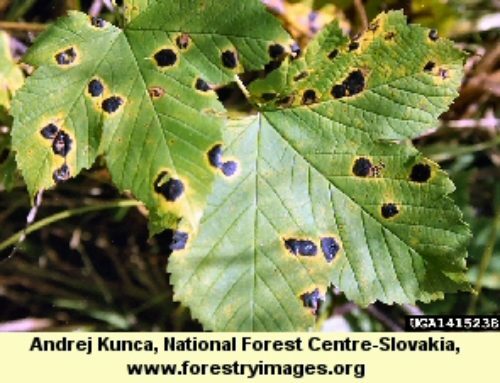 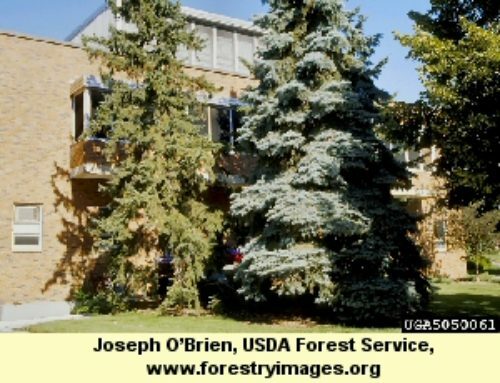 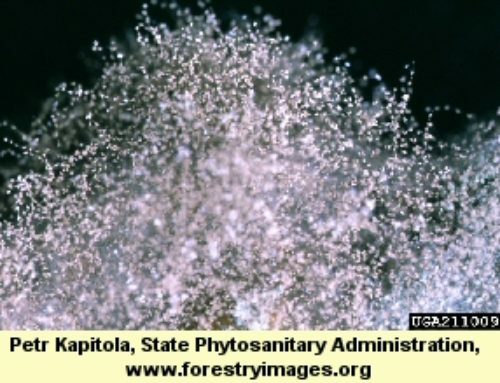 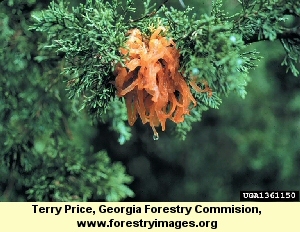 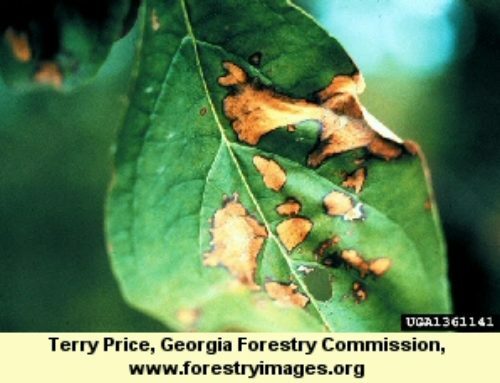 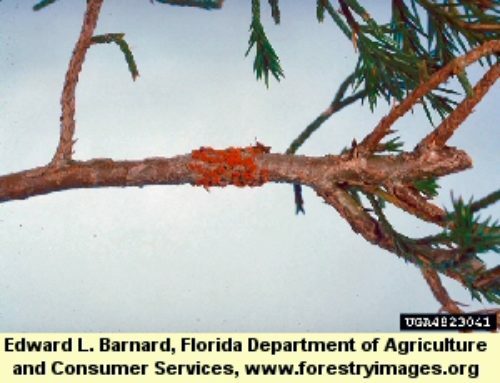 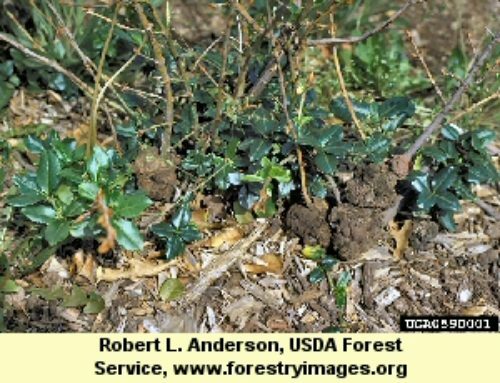 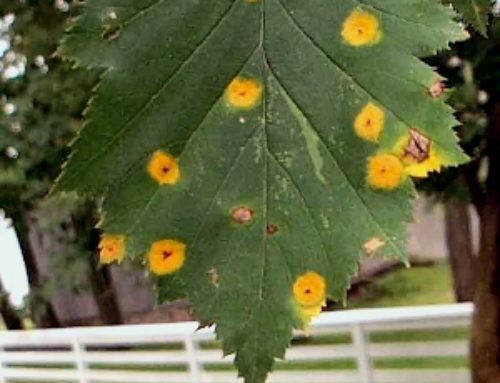 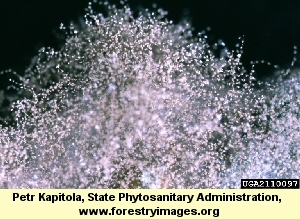 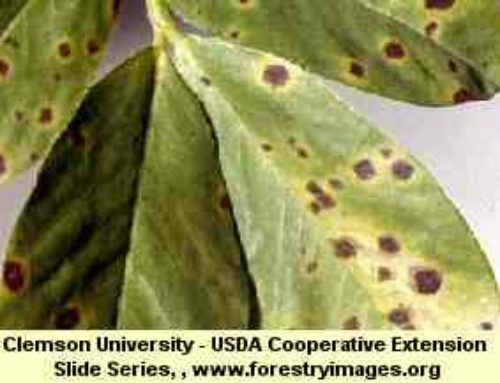 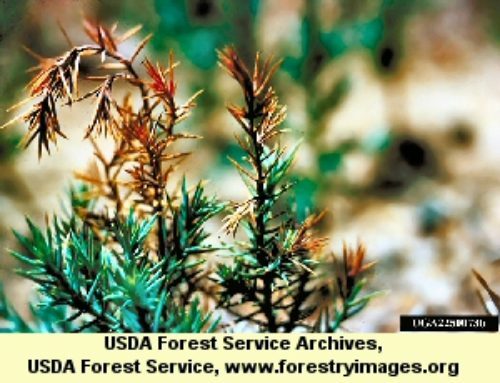 Needle infecting fungus with symptoms that first become apparent in late fall or early winter as yellow spots or flecks on one or both surfaces of current-season needles. 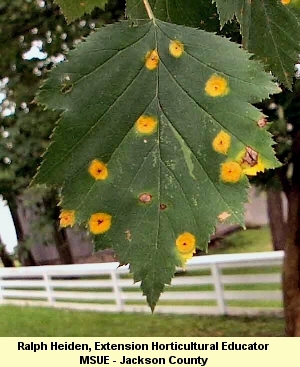 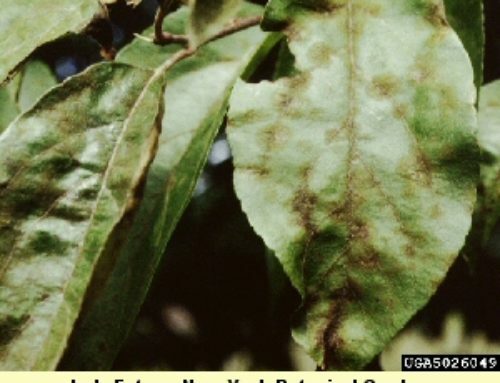 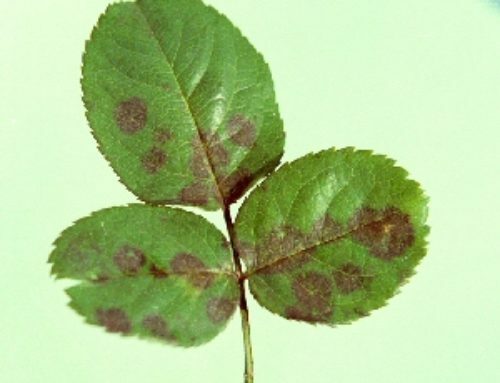 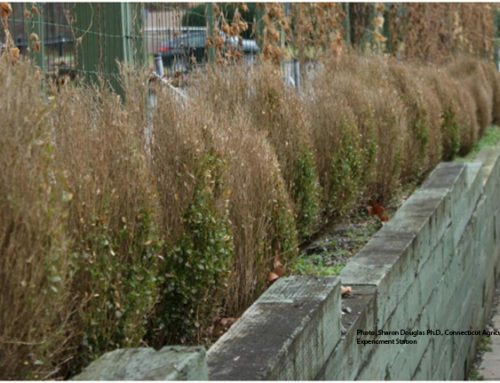 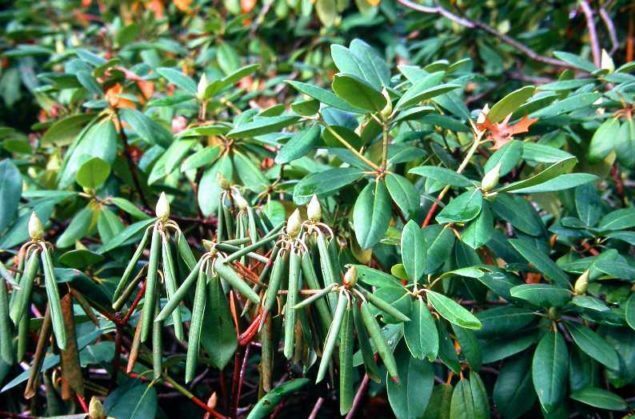 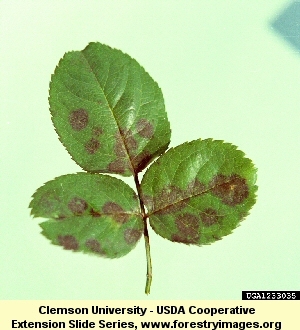 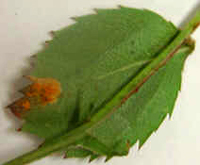 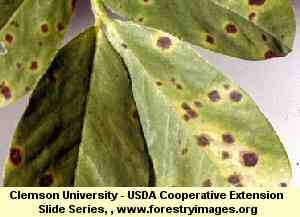 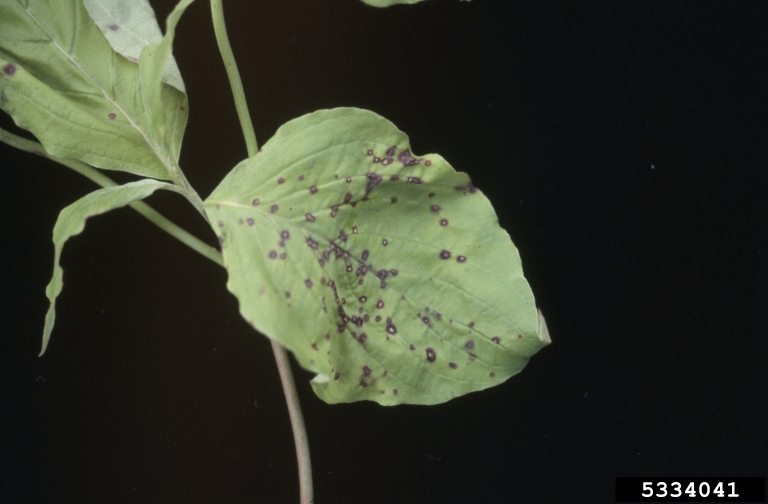 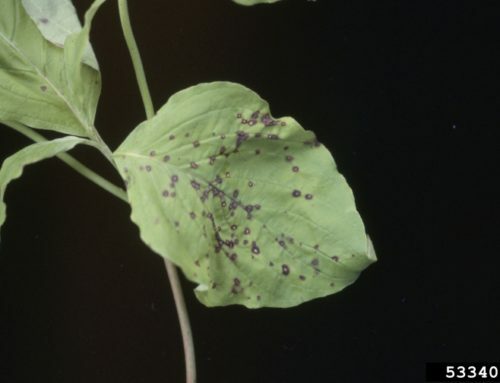 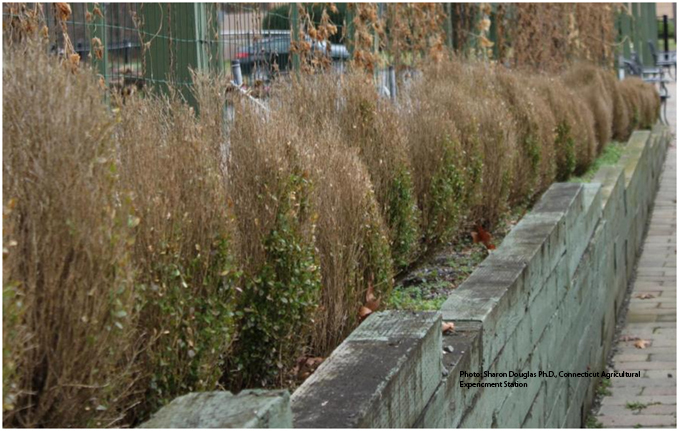 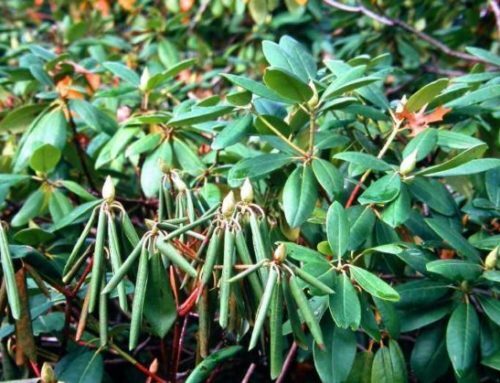 The chlorotic spots gradually turn reddish-brown and can range from 1-2 mm or can encompass the entire needle. 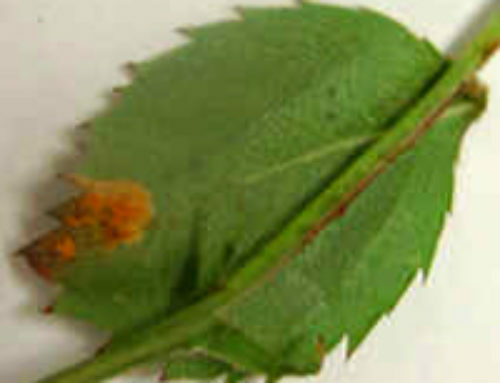 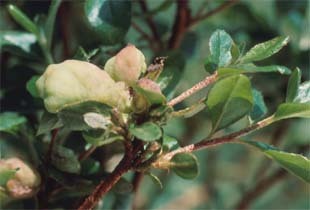 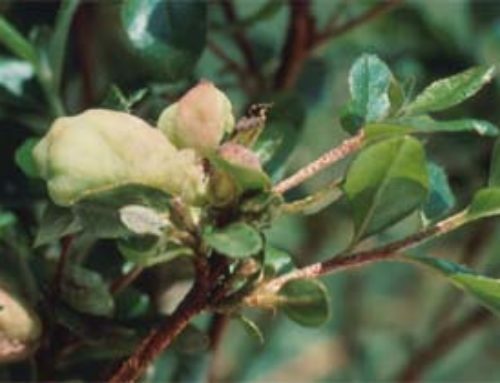 A distinctive diagnostic characteristic is the sharp border between the healthy green tissue and the infected brown tissue. 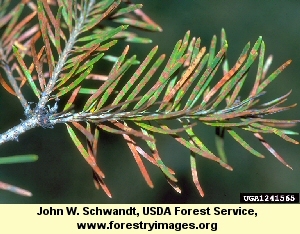 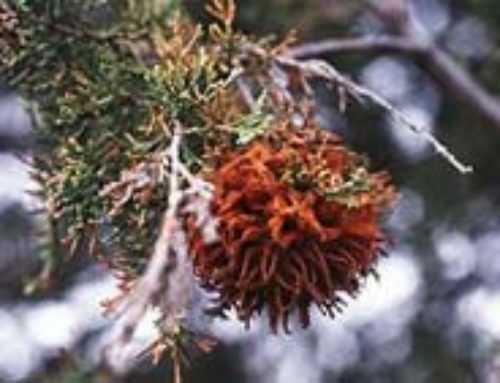 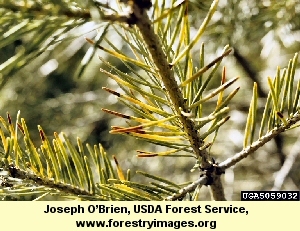 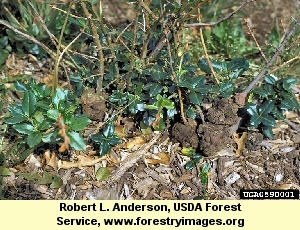 Discolored needles are most conspicuous in early spring. 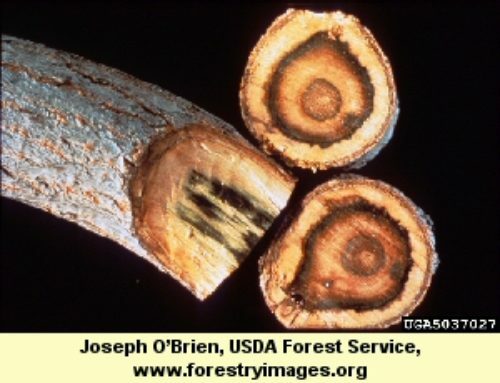 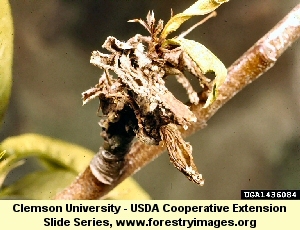 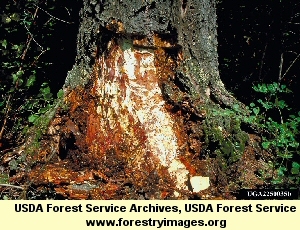 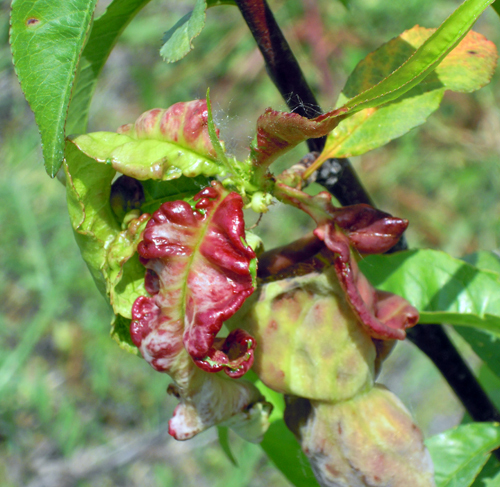 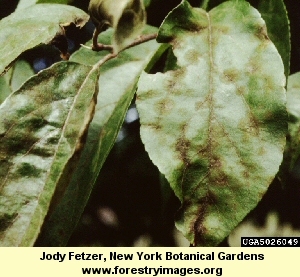 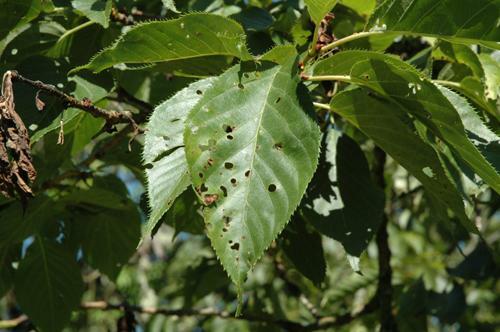 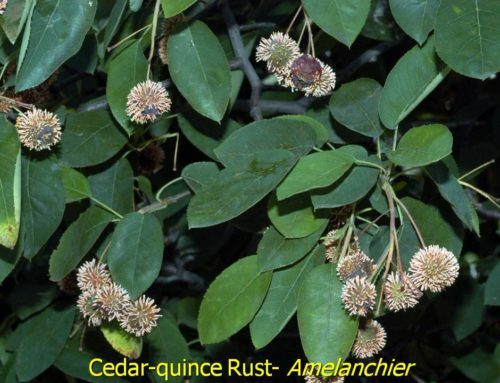 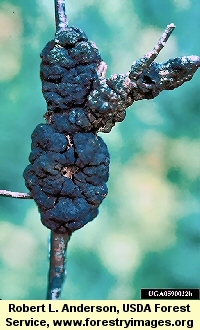 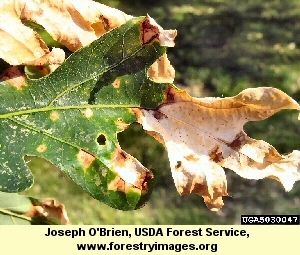 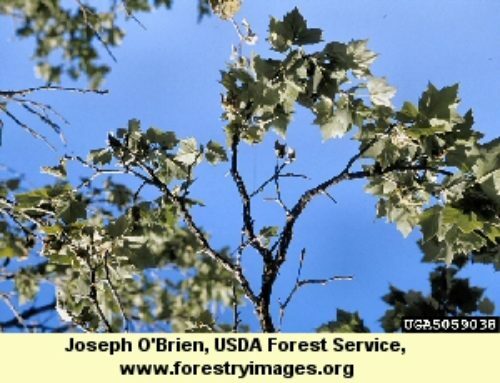 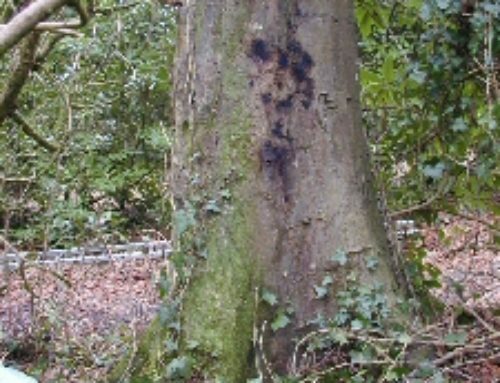 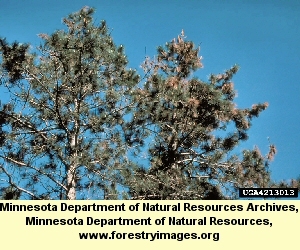 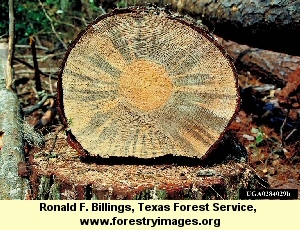 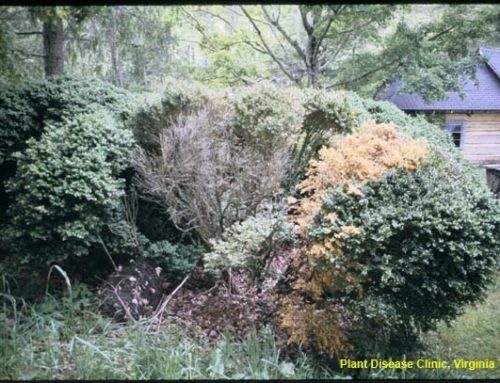 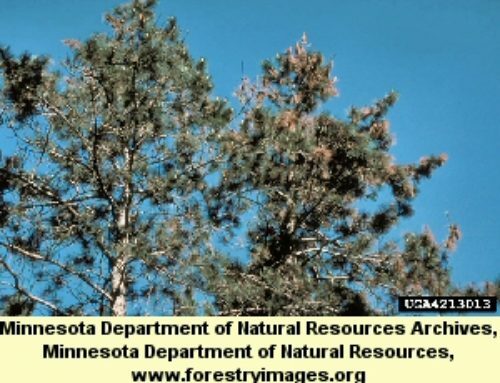 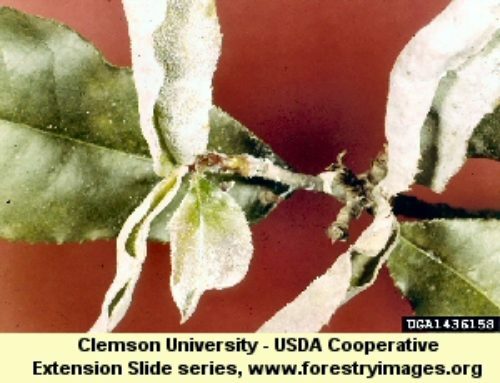 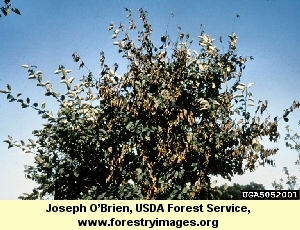 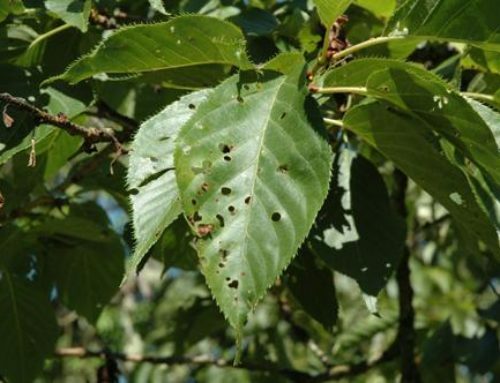 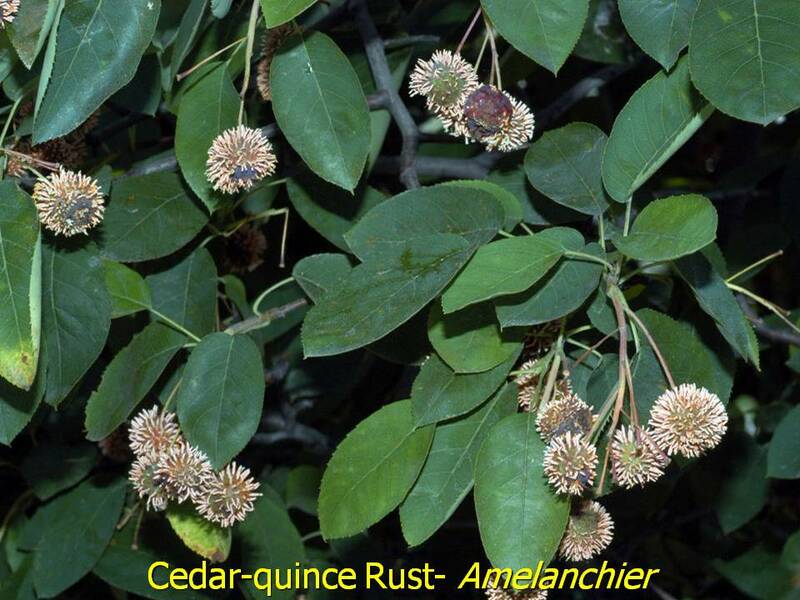 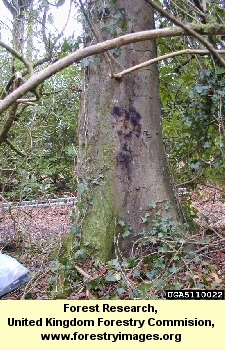 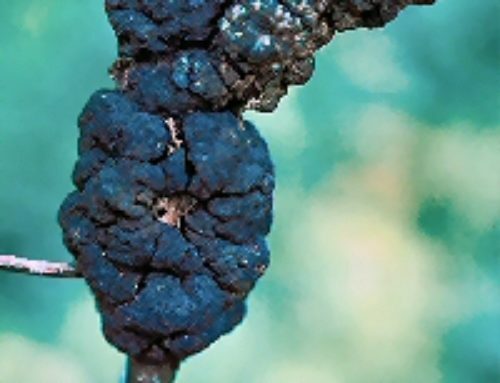 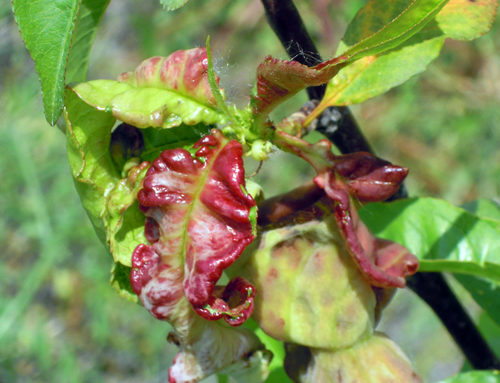 Symptoms are often most severe on the lower portion of the tree where air circulation is poor. 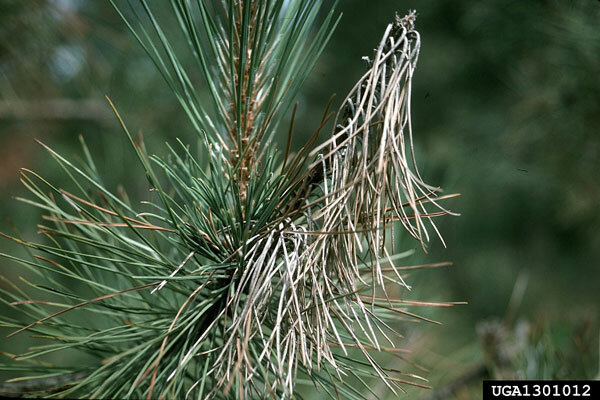 Although some of the heavily infected needles drop before or during budbreak, most will persist for several months. 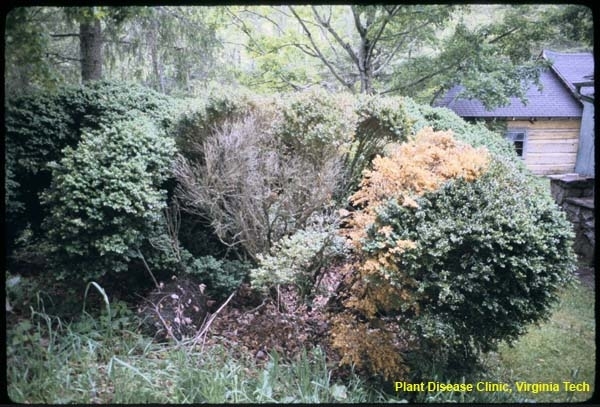 Sanitation pruning lower branches and roguing heavily infected trees is the first step. 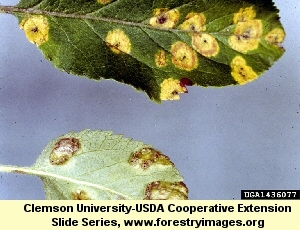 Spray treatments also recommended.